This is a wonderful post on traveling to Japan without leaving your home! Kara shares books, crafts, and fine motor skills using chopsticks! 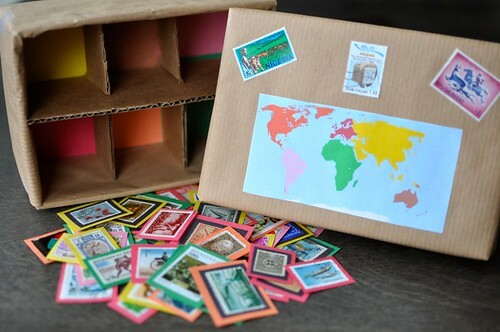 Stamp Sorting : Geography and History in a box! Thank you so much for featuring our Stamp Sorting Box Frances! And thank you for hosting as well! I must say I am very happy to have been invited in sharing on this blog hop. I did not know of it before I first linked up and probably missed on so many ideas and so many great blogs too, including yours! Have a great day! I love that stamp sorting box! So cool!! I know I love it too! Great idea!